Emily Kubitskey came to England from Los Angeles in August 2016 to lead the woodwind section and tutor the clarinet players of the Sistema England Young Leaders Orchestra. Since then, the landscape in America has changed dramatically, and we caught up with her to discuss music, social change and the courage to cope with difficult times. You travel all over the world for your work as a Teaching Artist – where, and what highlights? Every program, location, and it’s community has it’s charm, but I have to say that South Korea would be my favourite, as of late! I was fortunate enough to go there this summer to work with the Hanwha Youth Orchestra, and I just found the culture so rich in tradition, kindness, and compassion. It was absolutely beautiful! I was able to experience the very fast-paced life of Seoul, as well as the more secluded, country life of the Gongju Traditional Village, where we slept in traditional huts on the floor, and ate nothing but Korean food. It was incredible! What scope is there for music teachers / teaching artists to be part of a global workforce? It’s endless. We often hear (and it’s easy to give the advice of) “Follow your passion!” However, it’s more important to say “Take your passion and create your own career!” Whatever your passion is – to be an educator, performer, manager, engineer, director – find your strengths, find your global communities, and grow that passion in your own way. In this day and age, it’s important to educate our younger generations to think outside of the traditional career path and instead to think in building larger connections. We should all start creating links to organisations with similar missions that will ultimately help our global community grow. From your experience of global practices and projects, what is the most common challenge or area for improvement that you have identified? The most common challenge that I see from program to program is that everyone is looking for an easy answer or an immediate result. People become easily inspired from the current outcome of Music Education and El Sistema, and say “I want to want to help communities that are in need, and I want an orchestra of child musicians now.” While both of those are very valid desires, what is then missed is the strategic plan of how to incorporate, in equal part, students, families, teachers, administration and donors. Many programs assume that if they have kids and funding, then they are good to go, when the piece that is most missing is the continuum/scope of curriculum and good teaching, and how to retain that throughout the years. If you could get your dream team of teachers together for 24 hours, what would you do? There are a lot of different views, so what does ‘Sistema’ mean to you? 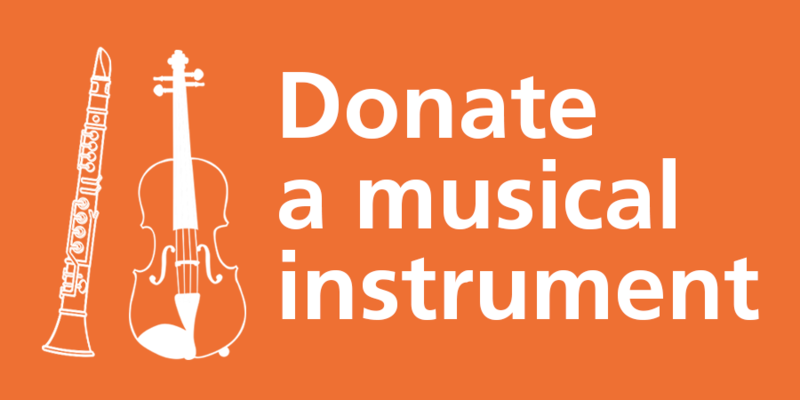 Sistema is what many music educators have been doing in America for the last 70 years – teaching towards musical excellence and creating a damn good community while doing it! However, in all sincerity, Sistema to me, is using what we have been working towards as musicians and music educators in the past, but making sure that there is an equal focus on musical excellence and social change, as opposed to social change being a random byproduct of the students naturally spending too much time together. It is a community that is brought together by music and culture, is strengthened by the desire for social change, and lead by a community of teachers and leaders who understand the strength of intensity, flexibility, and compassion. It is not a prescription, it is not a global curriculum, nor is it a replica of Venezuela. It is for the current community and by the current community. And only when those things happen can musical excellence and social change actually occur. The election of Donald Trump… What did you say to your students / what are your students saying today? 1) To grieve, and to use me and other adults as resources. It is not fair to ask you to pretend that this isn’t happening and that it might not affect you and your families. Take time to process it and talk about it. 2) Speak, and have conversations. However, if you want to speak, you must be ready to do it in a kind and generous way and you MUST be willing to listen. Only then, can we truly engage in conversation. If we all don’t care to listen, but only care to talk, we will be as bad as the administration that is promised for our future and the people that inspire hate and fear. 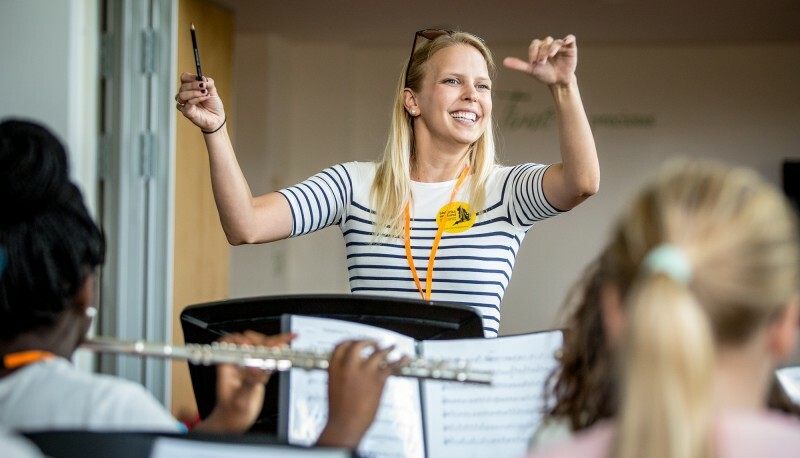 Emily Kubitskey is the Woodwind Specialist and a Wind Ensemble Director for YOLA (Youth Orchestra Los Angeles), the Los Angeles Philharmonic’s Sistema programme. She is also the Chamber Ensemble Director at the HOLA (Heart of Los Angeles) site in LA’s Rampart District, a Curriculum Writer and Teaching Artist for the LA Phil’s In-School Residency Program, a Mentor Teacher for the Longy School of Music of Bard College’s Master of Arts in Teaching programme and a Master Teacher for the Colburn Conservatory. Photo credit: Iván González / Sistema England.